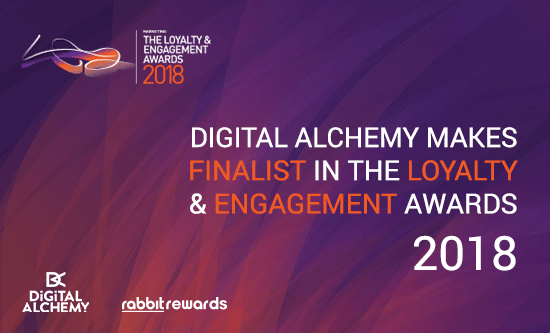 We are proud to announce that Digital Alchemy has been shortlisted for Most Innovative Loyalty Programme and Best Card-Based Loyalty Programme in the Loyalty & Engagement Awards 2018. As a finalist we are eligible to win gold in both categories. The Loyalty & Engagement Awards honours the best loyalty and engagement marketing strategies in Asia Pacific. Entries are evaluated and judged by a panel of experienced loyalty, engagement and relationship marketers and industry experts. The awards show is taking place on 13 July at the Shangri-La Hotel in Singapore.